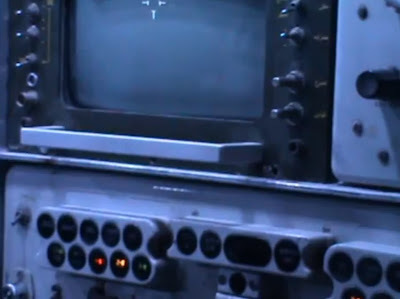 You'll note the pattern of buttons below the screen matches, although it's not a perfect match as it appears to be a different variant of the 9K33 Osa shown in the video. Since December there has been no sign of the 9K33 Osas they claimed to have captured, believed to have been between 2-4, and no sense of the amount of missiles captured. 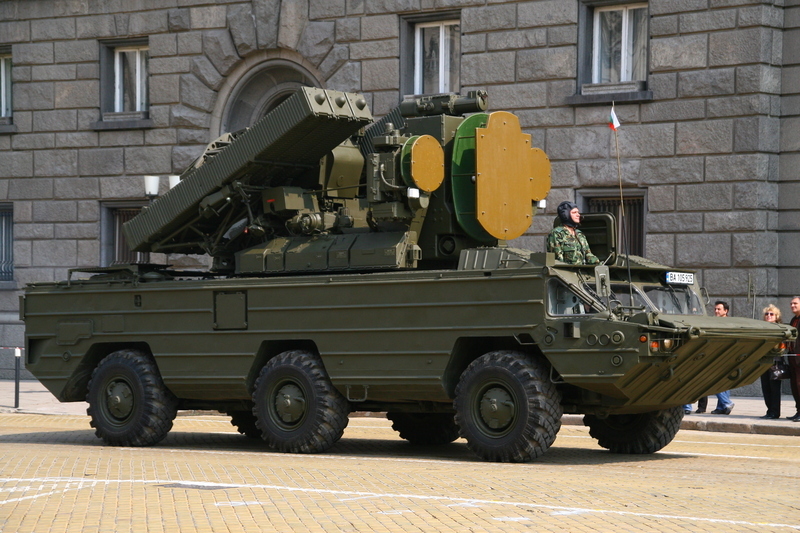 It could be they only have the missiles mounted on the 9K33 Osas when they were captured, or they managed to capture additional missiles. Either way, for the time being it appears Liwa al-Islam has raised the stakes in the air war in Syria. Over the past few weeks, it seems all sides in the Syrian conflict have come to agree that sarin has been used in Syria, they just disagree over who used it. 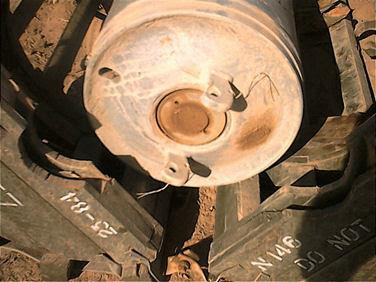 Russia's UN ambassador recently gave the UN secretary general results of tests which he claims proves the attack on Khan al-Assal involved the use of sarin by the opposition Basha'ir al-Nasr brigade, using their DIY "Basha'ir-3" rockets. Western nations have made various claims, including France who used samples collected from Damascus and Saraqeb, Idlib, by journalists from Le Monde to confirm the use of sarin in both these areas. With the use of sarin in Syria being a frequent topic of debate I've approached a number of chemical weapon specialists with a set of questions on sarin, and the alleged attacks in Saraqeb and Khan al-Assal to help shed some light on the topic, and hopefully clear up some confusion. How is Sarin typically weaponised? Sarin is a lethal war agent. It is designed and produced to cause death in humans. It is usually loaded into a carrier projectile which is designed to contain liquid agents. Sarin can also be dispersed by other means such as aerosols. 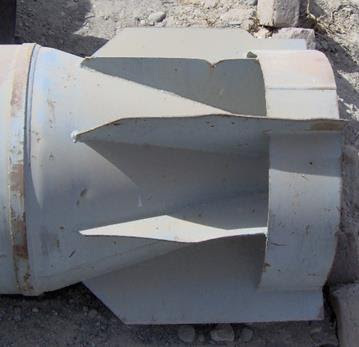 If projectile delivered, an explosive burster charge is used to open the projectile and disperse the Sarin without destroying all of it. What form does Sarin take? Can it be liquid, gas, powder, etc? Does it have a particular smell or colour? In its weaponised state Sarin is a colourless and odourless liquid and is dispersed either in that form or as a vapour. That is not to say that a Sarin producer could not add ingredients to make it detectable either by sight or smell although this would require careful research to ensure that the precursors and additives did not interfere with each other. It would be an unusual thing to do. It would not be viable from an effectiveness standpoint to use powdered Sarin, just as it is not possible to have powdered water. Sarin is volatile and able to disperse efficiently by being mixed with Isopropyl alcohol so that it can turn into a vapour and move with air currents and then either be inhaled by living organisms or through absorption. If it was turned into a solid (powder) then it would be too heavy to be dispersed in an efficient manner. Have you ever heard of Sarin being used in a diluted form, or mixed with other chemical substances to make it less lethal? No. The advantage of CW is that they are cheap, easy to disperse and able to kill/injure a large amount of people. The ratio between dead and injured will depend on the agent concentration and exposure, in what environment (indoors/outdoors) and in what atmospheric conditions (wind/ /temperature). There would be little advantage of making Sarin less lethal because it would still be lethal in the right conditions. If the objective of an attacker was to temporarily incapacitate an enemy then other CW would be considered such as mustard agents, then the attacker would be expected to physically enter that area to control it otherwise the attack would serve no purpose militarily. In this scenario, the attacker’s soldiers/vehicles would be equipped with protective equipment/clothing otherwise they would be liable to be contaminated too. Other agents, such as CS would be far more effective at causing non-lethal effects with the intention of temporarily incapacitating people and encouraging them to leave an area of their own accord. ‘Mild’ nerve agent poisoning will mean that people will be more likely to stay in the area. A number of reports have claimed to have proven the use of Sarin through tests on hair, clothing, blood, tissue, and urine samples. How would these be tested for the presence of Sarin? I would expect that each item would be analysed with the correct equipment which has been properly maintained and calibrated after each item has been analysed, otherwise one item could contaminate the rest of the tests, resulting in a higher cumulative result. I explained in my Q&As with Alfred Hackensberg that there would be a requirement for tests to be taken of the environment and from local people who had not been killed or injured in the attack to compare blood samples. To be digested and turned into urine, the victim would have had to have consumed such a small amount in another liquid that it would not have killed them. If they had been killed by drinking Sarin, it would not have entered the digestive system. But anyway, to answer the question, all the items would be tested for traces of the lethal precursors of Sarin and in the case of the blood, the evidence of asphyxia, the method by which Sarin will ultimately kill its victim. If Sarin was detected in hair and urine wouldn't that suggest small, non-lethal quantities, being ingested over a period of time? Yes. If someone was killed from Sarin CW attack then the Sarin would not be digested or grown out into someone’s hair. If they had been attacked and survived in the past, they would have told someone about it, there would have been more witnesses and it is possible that the attack would have left permanent indicators of its presence, such as in the hair of the survivor. If Sarin was on clothing how hazardous would it be to handle that clothing without correct protection? If recently contaminated and not subjected to any decontamination procedures, then there would be a contamination risk, especially in confined spaces. Individual protective clothing (IPE), respirator with correct filter would be required to be worn by everyone coming into contact with it. Yes it is. Most chemical agents are detected in the field using generic technologies. Precise field detection is possible through reagent kits but this requires training to use accurately. As an example of detecting a false positive, insect repellents work in much the same was as nerve agent by attacking the nervous system of the insects and even in small quantities, they will cause electronic portable detector systems to alarm. The quantities of active agent in insect spray are diluted so that they won’t harm humans for normal use, although it is likely that it will be ingested by people who use such substances on a regular basis. After a suspected Sarin attack how should the victims be processed, and what precautions should be taken? This very much depends on who is suspected of being a CW victim (military or civilian) and what infrastructure (qualified medical staff, suitable vehicles, and suitable accommodation) is in place to deal with CW attacks. The more resources applied, the more costly but effective the process. Nations have their own procedures, but some basic principles need to be adhered to; minimising further contamination, transferring CW victims into vehicles and then to a hospital will ensure that the vehicles can no longer be used until decontaminated and the people in the hospital who were not CW victims would become at risk of contamination. It is possible to have sealed wards but it would be difficult to obtain video footage from inside the contaminated area as there would need to be a comprehensive system of decontamination for anyone leaving. All the staff would need to wear IPE and be cognisant of symptoms, decontamination drills and procedures. The most efficient method of delivering aid to CW victims would be to bring the suitably trained medical staff to the victims so that they can be treated and processed, decontaminated and then transferred to an aid post or hospital. Setting up a hot line and cold line upwind of the incident is the normal process for chemical incidents controlling access and egress to/from the hazardous area with detection, decontamination and casualty handling incorporated into the mitigation process. The corpses of CW victims would likely be burned to avoid further contamination of the ground, other people or buildings. If these precautions are not taken what is likely to happen to the people coming in contact with the victims? A person with contaminated clothing is further dispersing the agent. Anyone coming into contact with a contaminated person will be at risk of becoming contaminated themselves, especially in confined areas such as in buildings or vehicles. How long would it take Sarin to become harmless, or dissipate? In general terms are we talking minutes, hours, weeks? This is difficult to answer because of the variables that could exist but Sarin is a non-persistent and highly volatile liquid which disperses and vaporises rapidly dependent on conditions of temperature and air flow. A single projectile of Sarin fired in a hot, sunny featureless environment during a windy day could feasibly take minutes to dissipate. At the other end of the spectrum, a sustained bombardment/barrage in an urban area during a period of no wind and no sustained periods of sun would be more likely to create a scenario where pockets of exposed Sarin would last for days, unexposed Sarin could last for weeks and CW UXO could remain in the area for years. Sarin is a non-persistent agent which means that the entity who used it is intending to enter the contaminated area soon after the attack when safe to do so. 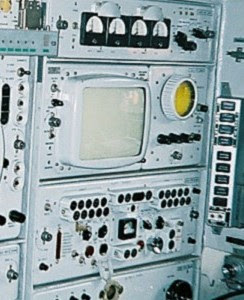 IPE and detection equipment would be used by first-in elements and until the all-clear was given. Would the above scenario match what you'd expect to see if Sarin has been used in the attack? Not really. I would be very surprised if a lethal war agent would be dispersed in this way; the risk of contamination to the helicopter and crew would be high. Sarin is not known to be dispersed in a powdered form. In common with many alleged chemical attacks in Syria the medical staff appears to have no protective gear. If this was a Sarin attack, how likely would it be that the medical staff would be effected, and how long would it take for the medical staff to become effected? Depending on concentration and method of contact, the medical staff could feel the effects of the agent as soon as they came into contact with the victim or other contaminated articles. One video shows a car pulling up with at least one victim inside. If this was a Sarin attack, how likely would it be that the inside of the vehicle would be contaminated by Sarin? If the victim inside the vehicle had been exposed to Sarin is it likely other passengers in the vehicle would fall ill? The inside of the vehicle would likely be contaminated by Sarin if the victim has been in contact with the agent droplets or vapour. The victim would have contaminated skin and clothing which would continue to produce Sarin vapour. The inside of a vehicle is confined and this would mean that everyone in the vehicle would breathe in the Sarin. Contaminated surfaces inside the vehicle could affect future users of the car. Some people have proposed a scenario where a diluted mixture of Sarin and other substances was used in the attack. If that was the case, would your answers to the above questions change significantly? I don’t understand why a diluted Sarin agent would be produced or used. If a less lethal agent was required then there are more efficient solutions. 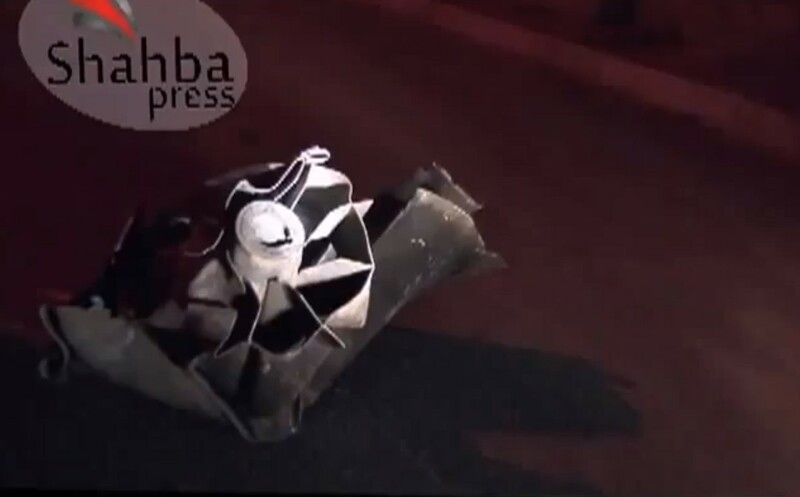 The canisters recovered from the scene of the attacks matched canisters also recovered from an attack reported in Sheikh Maqsoud in Aleppo, where there were again claims of them being dropped from a helicopter, with photographs showing the canister remains covered in white-grey powder. The same design of canister has also been filmed in a cache of weapons reportedly captured by the Syrian opposition from the Syrian military, and a journalist in Syria has shown the image of the canister to various armed group, many of which have claimed to have seen them in the possession of opposition fighters, claiming to have captured them from the Syrian army. 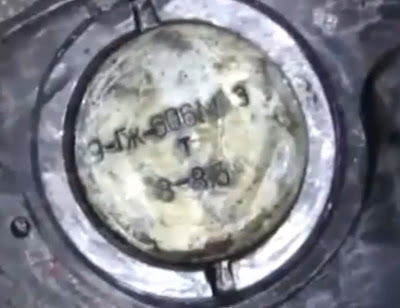 Another type of grenade, using an identical fuze, was also photographed in Syria, with the photographer being told it was a normal smoke grenade. There's video footage from the Saraqeb attack showing what's claimed to be the canisters falling through the sky, appearing to produce smoke or a white gas, as well as producing light. 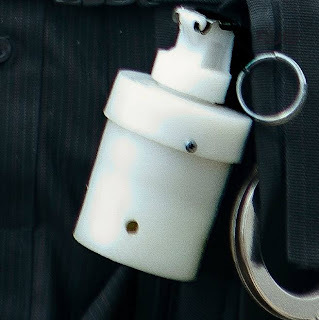 The canisters appeared to show signs of heat damage around holes along the body of the canister. Considering the various information gathered about these grenades is it likely they would have contained Sarin? Not really. Hand grenades have been manufactured for military use containing lethal war agents in the past. Sarin filled grenades would not include a pyrotechnic burning reaction to generate the toxic smoke as this is not deemed viable or known for dispersal of a Sarin payload. Is it possible they could have contained another substance that could have caused symptoms seen in the victims of the attack? It is unlikely that the grenades would have contained a blood, nerve or blister agent. Having seen the footage of the victims, I question whether their symptoms were caused by a CW attack. Without seeing more footage before and after the filming, I’d say that they could have been exposed a number of chemical incidents including toxic smoke inhalation, exposure to industrial chemicals or unintended releases through acts of war. Could one of those possibly substances produced a false positive for Sarin? It depends on the chemicals involved. If they were precursors for insect-spray then possibly but it is unlikely that the agent would have been dispersed by means of a grenade from a helicopter. Is it reasonable that the contents of this grenade could have been emptied and replaced by Sarin? No. The safe conditions and process required would be the limiting factor as the procedure would be highly dangerous with a high risk of contamination. The gains in filling a small container with a highly volatile lethal agent, which can only be projected over short distances, would seem a risky and unviable proposition. 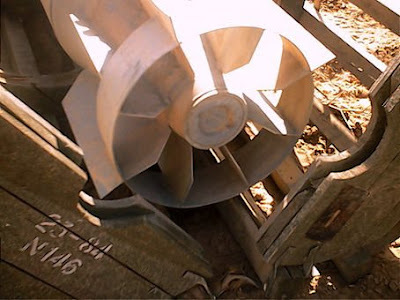 The Russian government has claimed the Syrian opposition was responsible for the Khan al-Assal attack, with a DIY rocket delivering a payload of Sarin. What do you think would be involved in putting together a DIY chemical warhead for a DIY rocket? The rocket would need a viable motor to be able to reach its intended destination. There would need to be a method of breaking or bursting the warhead casing in order for the Sarin to disperse. It is possible to separate the Sarin precursors inside different containers inside the warhead (binary agent) but this further complicates the functioning of the projectile and makes successful use less likely if an improvised system. 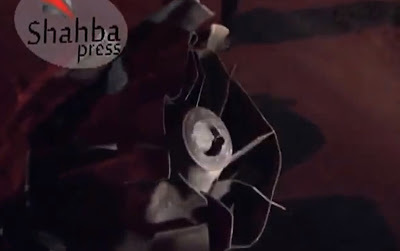 The Syrian opposition have the technical know-how to manufacture rockets. 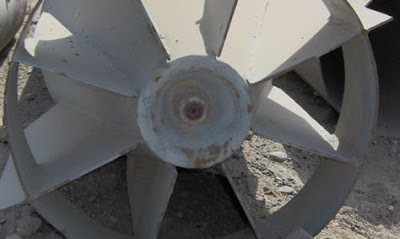 Considering the Russian government's claim that a DIY rocket was used in the attack, what would be the most effective dispersal method once the rocket reached it's target? Most efficient would be use of a projectile with an air-burst fuze to allow the Sarin to be dispersed above the ground as to contaminate as much of the area as possible. I would also expect that some of these rockets would miss the target wildly, contaminate the wrong targets and in some cases not initiate properly. Simple impact of a thin cased projectile with the ground could be used to disperse the liquid which would then vaporise depending on environmental conditions. As with the other alleged chemical attacks in Syria the staff treating the wounded appear not to be using any protective clothing. Would this have resulted in medical staff and responders being contaminated if this was a Sarin attack? Yes. Everyone within a contaminated area would feel the effects of chemical attack, resulting in injury and death. I would be surprised if Sarin victims would be able to be transported to a hospital immediately after an attack without secondary contamination occurring. Hamish de Bretton-Gordon is the Former Commander of UK CBRN Forces and COO of SecureBio. Sarin is generally stored in its component form (separate chemicals) and is weaponised by the mixing of the components into either a liquid or vapour/gas form. Once 'mixed' Sarin has a relatively short shelf life and would therefore need to be used within a time frame. If not used then purity will degrade and the effectiveness/lethality will be effected. Sarin was developed by the Nazi’s in the 1930’s originally as a pesticide and has its origins as an organophosphate. When they realised how effective it could be as a nerve agent against humans they weaponised it. Sarin is about 3-4000 times more toxic than organophosphates, hence the poisoning of Indian School children last week with pesticide where 23 people were killed would have been significantly worse if it were Sarin or another Nerve agent. Sarin will generally come in the form of either a liquid of vapour. Sarin, when in a pure form is both colourless and odourless. However persons who were affected during the Tokyo Sarin attack,(the Sarin used was of only 50% purity) reported a smell similar to paint thinner. The testing of cholinesterase levels in the samples during laboratory tests would indicate the presence of nerve agents. Not necessarily, it could indicate that the person was only exposed to a small amount regardless of the time involved. This would depend largely on the quantity on the clothing and the quality/age of the Sarin. However, a note of caution, is that exposure to Sarin can be accumulative and death or injury could occur over a time when exposed to low levels of contamination. The best advice is to protect yourself at all times. Highly unlikely with today’s modern equipment which can measure to PPM PPT levels. Some of these tests have been done at Porton Down and US and French equivalent, who conspiracy theories aside, would not get this wrong. Victims will need to be triaged and treated according to medical need. Staff treating victims should protect themselves at all times to prevent them in turn becoming victims. Many first responders and medical staff in the Tokyo subway attacks became casualties themselves in this way. Likely to become affected by the Sarin to a greater or lesser degree. This will depend on a number of factors, but it will become harmless in a relatively short period, hours rather than days. 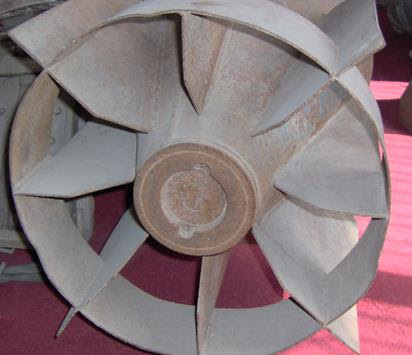 Sarin by its very nature is a non persistent agent and is lighter than air, therefore it will disperse quickly. The speed at which it disperses will depend on temperature, humidity etc. Generally speaking the lethal effects of Sarin are short lived, residues can remain in the soil or in clothing for weeks. Traces of Mustard gas, a persistent blister agent are still being found in Halabja 25 years after the attack. The Saraqeb attack is probably one of the mostly well documented alleged chemical weapon attacks of the conflict. Canisters inside containers filled with white-grey powder were reportedly dropped from a helicopter landing in two locations, one near a road, where no victims were reported, and the other in the courtyard of a family home. It was reported that immediately after impact one of the residents entered the courtyard, and collapsed shortly afterwards, later dying. Shortly after the first victim entered the courtyard more members of the family entered, and also fell ill, as did people responding to the attack. Between 11 to 13 people were reportedly effected, with only one death reported. Video from the road-side location filmed some time after the attack would show children playing near to the remaining white-grey powder with no ill effects reported. Not normally. Sarin would normally be delivered by air dropped munitions or artillery shells, causing mass casualties i.e. Halabja. However, it is pretty clear that samples from Saraqeb have tested positive for Sarin, so there would appear to be very small amounts of Sarin contained in the canisters, probably of a low quality. This would account for the relatively few casualties. It is certainly not textbook delivery but has presumably achieved the effect which the perpetrator wanted – confusion and derision amongst the International Community. Without PPE medical staff would be vulnerable to cross contamination issues. The levels of exposure are likely to be low but as mentioned above the accumulated effects could cause injury or death. The lack of PPE and training is also a concern for NGOs and charities operating in a medical capacity in Syria. There would in all likelihood be contamination inside the vehicle, however on the evidence given this would low level. Other occupants of the vehicle would be contaminated to one degree or another. Very difficult to tell from videos and pictures. The subject of deliberately diluting a mixture of Sarin, and or mixing it with other substances would defeat the object of use it as it was designed, and the effectiveness would be difficult to predict. The less pure the Sarin is the less lethality it possesses. Therefore the answer above would remain. It is probably the case that less lethal Sarin was used, but it is impossible to say if this was by accident or design. Given the evidence above the canisters would more likely contain phosphorous, or indeed be smoke grenades. But it is not impossible that they contained Sarin. Is it possible the could have contained another substance that could have caused symptoms seen in the victims of the attack? It is possible that they could have contained organophosphates(pesticides) which have the sample chemical structure as nerve agents but are a lot less toxic and would fit with the scenario painted. However, UK, US and French Govts have stipulated that they have detected Sarin in samples from the two attacks mentioned and that is the best information currently available. It is highly unlikely that a false positive would be given for Sarin. Lab tests on biological samples are very sophisticated, and again modern day detection, identification and monitoring equipment systems are pretty reliable. It is possible, but I’m not sure it is reasonable. It would be a very strange thing to do and potentially very dangerous to those doing this. However, there appear to be no bounds to the ‘awfulness’ associated currently with the War in Syria, so one is surprised by very little at the moment. This scenario is highly improbable. 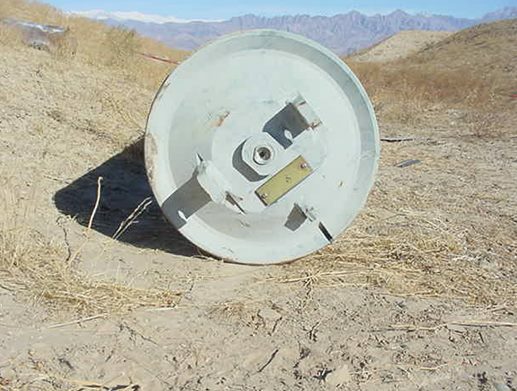 Sarin when delivered by munitions is 'mixed' in flight and the warhead is programmed to either release its payload at a given height or on contact with the ground. It is unlikely that the rebels would have access to this level of sophistication – this is beyond a ‘DIY’ rocket ‘thing’.. Considering the Russian government's claim that a DIY rocket was used in the attack, what would be the most effective dispersal method once the rocket reached its target? If this claim was found to be justified the either an air burst or ground burst weapon would be equally effective. There would be a number of factors to take into account before deciding which would be the best, these could include climatic conditions, target etc. It is highly likely that some form of cross contamination would occur from treating the victims, the level of contamination would be determined by the level of contamination the victim was exposed to. Later next week I'll be posting more interviews, and looking at what we know about the Russian claims of sarin use at Khan al-Assal, and the group they claimed used it, the Basha'ir al-Nasr brigade. It reads "9 ГЖ 606M", which is the warhead of the S-25-OFM, a variant of the S-25 rocket, an air-to-ground rocket designed to attack hardened targets. This is the first time I can recall the remains of one of these rockets being recovered in the conflict, and possibly the first evidence of their introduction into the conflict. It's also the largest air-to-ground unguided rocket of the conflict used so far. Alfred Hackensberger - We (my photographer Victor Breiner and I) went to Aleppo and visited the area around the city, including some front lines, like Kafra Hamra (close to the Shia villages of Nuba and Zahra) and Assafireh, where rebels were besieging a military complex with chemical and ammunition materials inside. When we were driving around meeting rebels and their commanders we showed them a picture of the grenade used in alleged chemical attacks. At beginning, nobody recognized them and we thought we are at a dead end. But later, we found two rebels at front line position in Assafireh who immediately recognized them. They were sure of seeing them on rebels, but didn't remember if the were from Liwa Tawhid or al-Nusra. But anyway, they said this were smoke grenades, not chemical grenades. Later in Aleppo we found two more men who said same thing. At the al-Nusra Base fighters recognised the grenade immediately, and showed grenades of same type or series. They said: "All are smoke grenades, and we got them from Syrian Army depots." Again, they pointed out that their grenades are not "chemical weapon" grenades. Regarding whether or not they used them in combat, they didn't mention, or didn't want to mention anything. 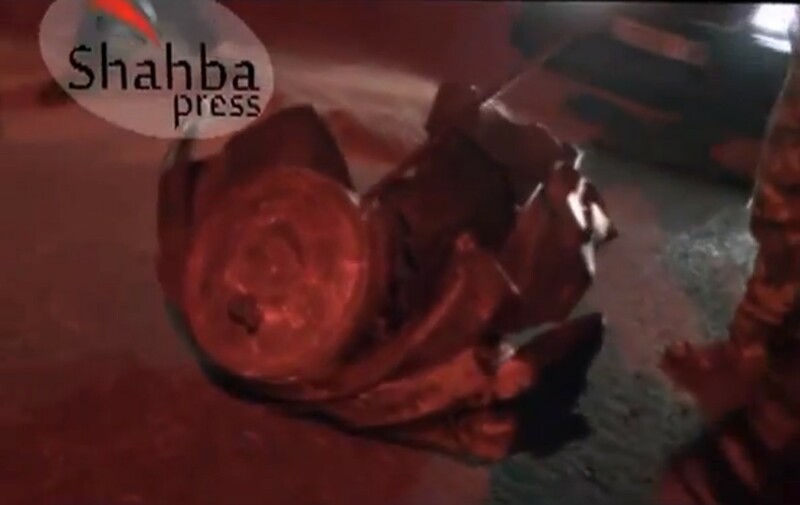 To my understanding, nobody we were talking to was aware that these kind of grenades were used in the alleged chemical attacks in Saraqeb or Sheikh Maqsoud. We had to explain to them, that these ones were used. I mean they really didn't know anything about them. After their statement that they got them from Syrian Army, we were looking for former officers, soldiers who might recognise them. It took a couple of days asking and, again, showing around the picture of the grenade to former soldiers till we found one who had seen it. It was a rebel fighter, who goes back and forth to the Turkish border to organise weapon transports. He said, that he saw these grenades (the original one from Saraqeb and Maqsoud) during his military service over one year ago in Daraa (before he defected). 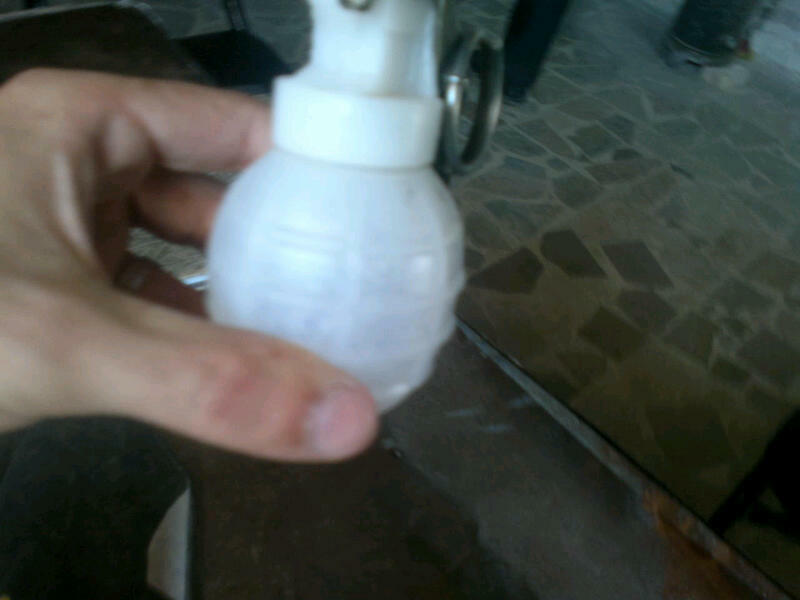 An elite force, supposedly from the 4th Division, was training with these grenades. His officer told him that the grenades were delivered by Iran and would contain, beside smoke, a certain nerve relaxant, to calm protesters down. 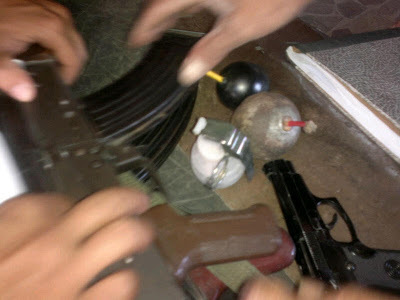 The former soldier also said that these grenades were not used at that time. Some very interesting details there, especially when you consider these are the only munitions that appear to be linked to the Saraqeb attack, which I've examined in great detail here. In the coming days I'll be posting a series of interviews from a number of chemical weapon experts, discussing the finer points of sarin, the attack in Saraqeb, where the US claims sarin was used, and the attack in Khan al-Assal, where Russia claims sarin was used.